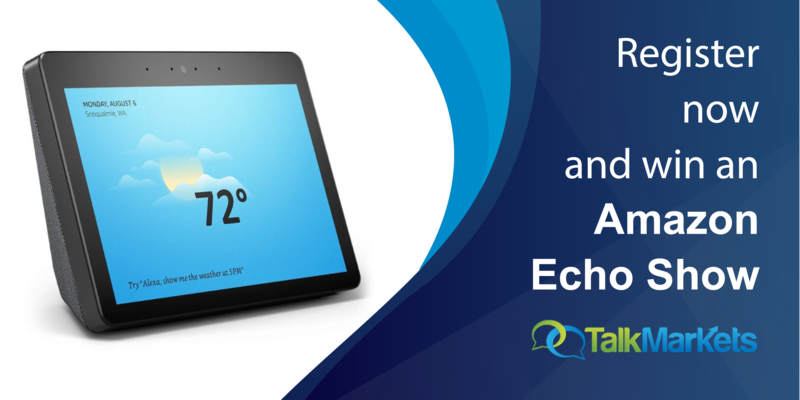 ... Europe is already there. 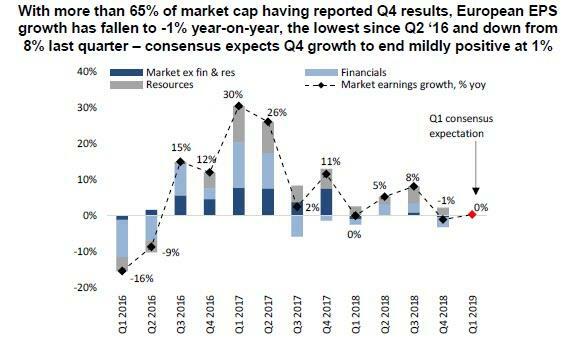 As Deutsche Bank writes overnight, with more than 65% of market cap having reported results, historical Q4 European EPS growth stands at -1% year-on-year, the lowest since Q2 2016 and down from 8% for the full Q3 earnings season. 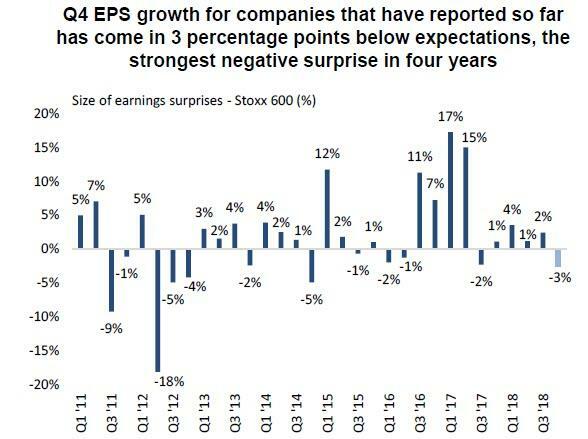 Worse, this is a material 3% disappointment relative to consensus expectations for the companies that have reported so far and the largest negative surprise in four years. 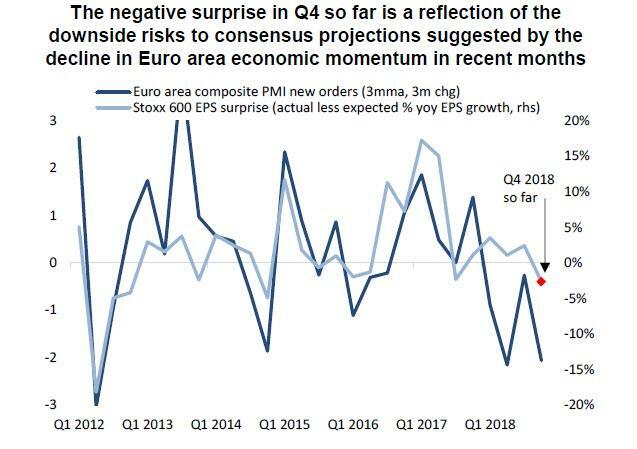 This negative surprise is a reflection of the downside risks to consensus projections implied by the deterioration in Euro area growth momentum in Q4. 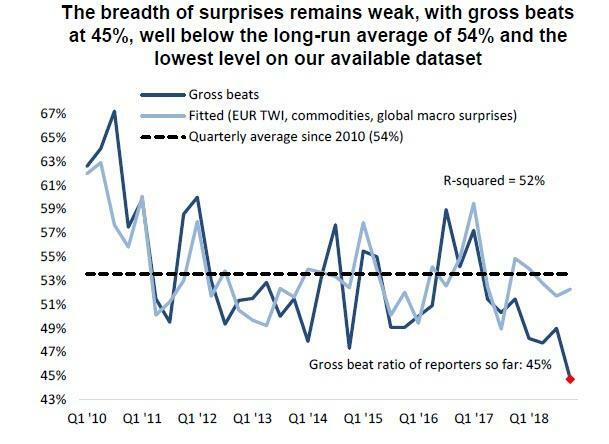 The breadth of surprises, at 45%, is at the lowest level since at least 2010 and is below the long-run average of 54%. 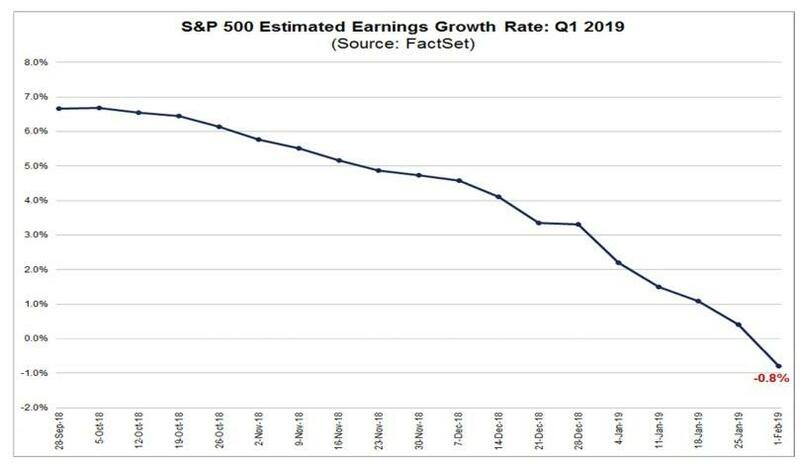 Looking at the composition, financials, industrials and consumer discretionary were all major drags on earnings, while among the companies that have reported so far, utilities, energy and tech have seen strongly positive EPS growth. Strength in utilities’ earnings bears out DB analysts' view of a turn in the sector’s earnings cycle. Meanwhile, consumer discretionary, industrials, real estate, and financials have all seen sharply negative growth. 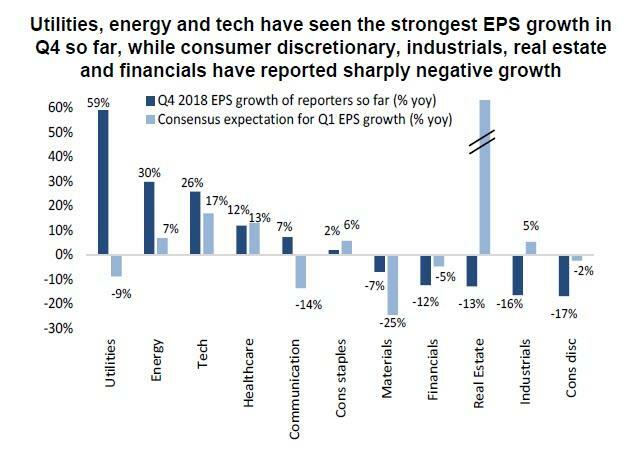 Energy, healthcare, and tech are the biggest positive contributors to market-level Q4 EPS growth so far this season, while financials, industrials and consumer discretionary are all major drags. 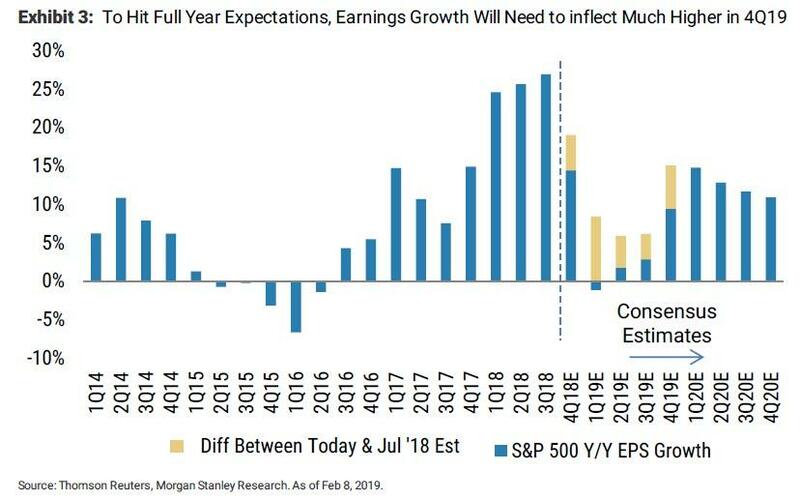 Tech and energy have seen the biggest upside surprises to earnings, while communication services, real estate, and utilities have seen major disappointments.